Archdruid: And so, we mark this special occasion. The symbol of our nation's preparedness for a no-deal Brexit. I name this boat the SS Failing Grayling. The bottle of Venezuelan Champagne substitute swings in the air, hitting the side of no boat. Archdruid: Rats. And I bought that specially at 'Spoons. Hnaef: Oh look! Is that a mullet? Hnaef: Not in the pub. In the water. Charlii: No, that's just another drowned unicorn. Archdruid: This is ridiculous. I'm going to phone the ferry company. Young Keith: I'll have satay king prawns and an egg fried rice. Archdruid: And so we join in the hymn of Glory for Brexit. He ain't no transport king. Brexiter: Bloody French! I fought in the War against you! Young Keith: Erm, I think they were on our side. Archdruid: And you're not even sixty. You can't have fought in the War. Brexiter: Don't you oppress me. I lost both bloody legs on Sword. First Walmington Home Guard. They didn't like it up 'em, Sir. Archdruid: Look, do you want this bottle of Venezuelan Champagne? Archdruid: ...20 years before you were born? Brexiter: You seen my unicorn? Young Keith: He's in the harbour. Jumped off the side, misjudged the depth of the water. Apparently he expected that a working port for a no-deal Brexit would be properly dredged. 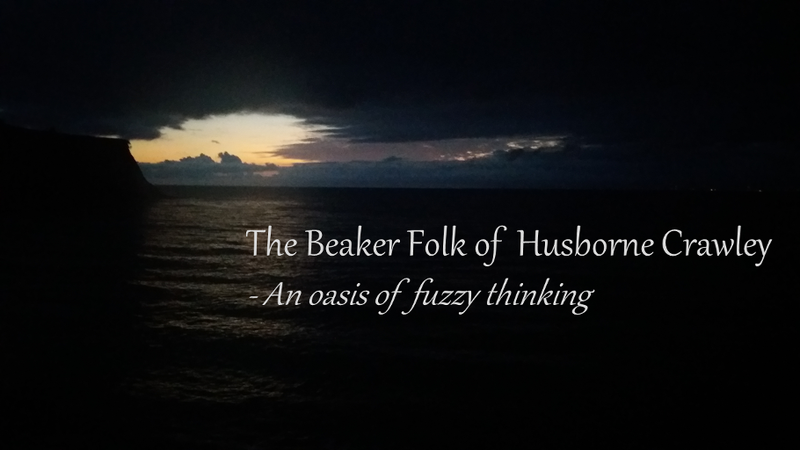 Beaker Folk leave quietly as the Brexiter sobs over his drowned unicorn, looking across the cruel sea towards the Continent he fought in the 1940s. Quite appropriate for a farcical situation. You cant make up stories like this one. A ferry company, using a ripped off T&C from a health company, hired an Irish Ferry company to provide ships, to be sailed from a Port, where the council are planning to cut costs and make it unusable as a ferry port. I understand that Mr Grayling is currently boiling his head in one of those fancy establishments that get you off delusions of being a government minister of Tory Origins. Shortly to be joined by Mrs May and Jacob Rees Mogg for a house party. Jeremy Corbyn was invited, but refused as Mrs May has dismissed his plot to get into No 10 through the back door.